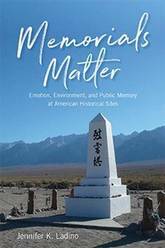 Memorials Matter investigates how sites of memory in the American West influence emotions about historical conflict and national identity. 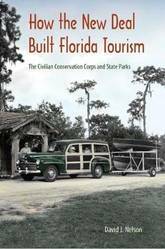 The book compares seven diverse National Park Service sites to show how the natural landscapes and built structures combine with written texts at each site to generate emotion in individual tourists and shape our collective memory of traumatic events. The results of climate change make the headlines almost daily. All across America and the globe, communities have to adapt to rising sea levels, intensified storms, and warmer temperatures. One way or another, climate change will be a proving ground. We will either sink, in cases where the land is subsiding, or swim, finding ways to address these challenges. While temperatures and seas are rising slowly, we have some immediate choices to make. If we act quickly and boldly, there is a small window of opportunity to prevent the worst. 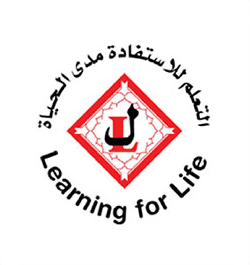 We can prepare for the changes by understanding what is happening and taking specific measures. There is commitment already in the climate change system. To minimize those effects will require another kind of commitment, the kind Rick Van Noy illustrates in these stories about a climate-distressed South. 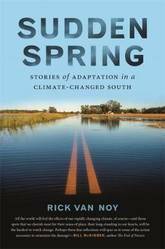 Like Rachel Carson's groundbreaking work Silent Spring, Rick Van Noy's Sudden Spring is a call to action to mitigate the current trends in our environmental degradation. By highlighting stories of people and places adapting to the impacts of a warmer climate, Van Noy shows us what communities in the South are doing to become more climate resilient and to survive a slow deluge of environmental challenges. 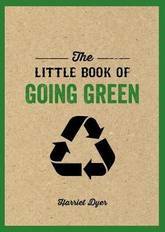 The Little Book of Going Green: Really Understand Climate Change, Use Greener Products, Adopt a Tree, Save Water, and Much More! We have forgotten how to be good guests, how to walk lightly on the earth as its other creatures do. -Barbara Wood The Little Book of Going Green aims to shed light on the ways humans are harming the environment, from pollution and deforestation to industrial production and farming methods. Before we can fix a problem, we must have a basic understanding of what brought us there in first place. Dyer explores past events and actions before directing our attention to the future through the exploration of how climate change has been affected by: Plastics Fossil Fuels Industrial Agriculture Deforestation Human Population In addition, Dyer explores how we can easily practice sustainability and conservation on both individual and corporate levels, creating habits at home that we can then bring to our workplaces. How can we reduce plastic waste in our homes? How can we reduce our carbon footprint in the office? 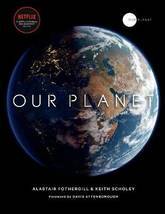 Filled with facts, theories, and tips on how we can do our bit for the planet, this is your one-stop guide to making every aspect of your life earth-friendly. 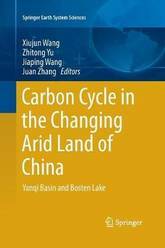 This book integrates the analyses of organic carbon and carbonate accumulation in soil and lake sediment in a typical arid region of China that has experienced significant climate and land-use changes. It demonstrates that carbonate accumulation greatly exceeds organic carbon in both soil and sediment. It also shows that intensive cropping with sound land management in the arid land not only increases soil organic carbon stock, but also enhances accumulation of soil carbonate, particularly in subsoils. Carbon accumulation in the lake sediment increased between 1950 and 2000, after which it declined, and the authors explore how human activity and climate change may have caused the changes in carbon burial in the lake sediment. 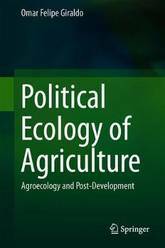 This book is of interest to researchers in a number of fields such as soil science, limnology and global change, as well as to the policy-makers. 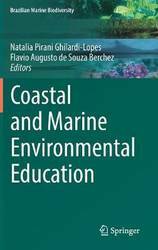 This book provides a broad overview of how the promotion of ocean and coastal literacy is being planned, applied and evaluated in Brazil, a country of continental dimensions with a great diversity of cultural, educational and social realities. It discusses a range of target groups, from children to adults; formal and informal strategies; and various promoting players, such as groups/institutions. Researchers representing Brazilian academic institutions and NGOs share their environmental education (EE) experiences in Brazil and describe the main concerns regarding the marine and coastal environments as well as how they are addressing these concerns in their EE projects. 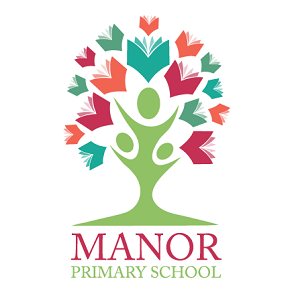 This book is of interest to anyone who is looking for ways of designing and implementing EE activities with a robust theoretical background in different socio-cultural scenarios. Habit rules our lives. And yet climate change and the catastrophic future it portends, makes it clear that we cannot go on like this. Our habits are integral to narratives of the good life, to social norms and expectations, as well as to economic reality. Such shared shapes are vital. Yet while many of our individual habits seem perfectly reasonable, when aggregated together they spell disaster. Beyond consumerism, other forms of life and patterns of dwelling are clearly possible. But how can we get there from here? Who precisely is the `we' that our habits have created, and who else might we be? Philosophy is about emancipation-from illusions, myths, and oppression. 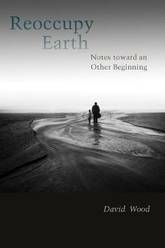 In Reoccupy Earth, the noted philosopher David Wood shows how an approach to philosophy attuned to our ecological existence can suspend the taken-for-granted and open up alternative forms of earthly dwelling. Sharing the earth, as we do, raises fundamental questions about space and time, place and history, territory and embodiment-questions that philosophy cannot directly answer but can help us to frame and to work out for ourselves. Deconstruction exposes all manner of exclusion, violence to the other, and silent subordination. Phenomenology and Whitehead's process philosophy offer further resources for an ecological imagination. Bringing an uncommon lucidity, directness, and even practicality to sophisticated philosophical questions, Wood plots experiential pathways that disrupt our habitual existence and challenge our everyday complacency. 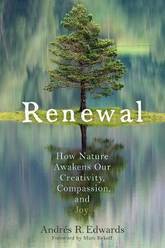 In walking us through a range of reversals, transformations, and estrangements that thinking ecologically demands of us, Wood shows how living responsibly with the earth means affirming the ways in which we are vulnerable, receptive, and dependent, and the need for solidarity all round. If we take seriously values like truth, justice, and compassion we must be willing to contemplate that the threat we pose to the earth might demand our own species' demise. Yet we have the capacity to live responsibly. In an unfashionable but spirited defense of an enlightened anthropocentrism, Wood argues that to deserve the privileges of Reason we must demonstrably deploy it through collective sustainable agency. Only in this way can we reinhabit the earth. An essential, up-to-date look at the critical interactions between biological diversity and climate change that will serve as an immediate call to action The physical and biological impacts of climate change are dramatic and broad-ranging. People who care about the planet and manage natural resources urgently need a synthesis of our rapidly growing understanding of these issues. 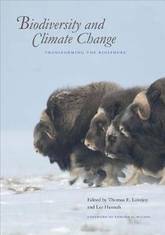 In this all-new sequel to the 2005 volume Climate Change and Biodiversity, leading experts in the field summarize observed changes, assess what the future holds, and offer suggested responses. 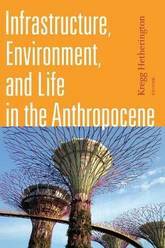 From extinction risk to ocean acidification, from the future of the Amazon to changes in ecosystem services, and from geoengineering to the power of ecosystem restoration, this book captures the sweep of climate change transformation of the biosphere. Farmers once knew how to make a living fence and fed their flocks on tree-branch hay. Rural people knew how to prune hazel to foster abundance: both of edible nuts and of straight, strong, flexible rods for bridges, walls and baskets. Townspeople cut beeches to make charcoal to fuel ironworks. Shipwrights shaped oaks to make hulls. In order to prosper communities cut their trees so they would sprout again. Pruning the trees didn't destroy them. Rather, it created healthy, sustainable and diverse woodlands. From these woods came the poetic landscapes of Shakespeare's England and of ancient Japan. The trees lived longer. 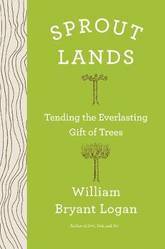 William Bryant Logan travels from the English fens to Spain, California and Japan to rediscover and celebrate what was once a common and practical ecology-finding hope that humans may again learn what the persistence and generosity of trees can teach. Lakes across the globe require help. The Lake Restoration Handbook: A New Zealand Perspective addresses this need through a series of chapters that draw on recent advances in modelling and monitoring tools, citizen science and First Peoples' roles, catchment and lake-focused restoration techniques, and policy implementation. New Zealand lakes, like lakes across the globe, are subject to multiple pressures that have increased in severity and scale as land use has intensified, invasive species have spread and global climate change becomes manifest. This books builds on the popular Lake Managers Handbook (1987), which provided guidance on undertaking investigations into, and understanding lake ecosystems in New Zealand. 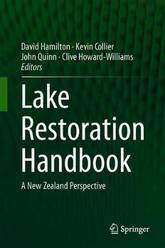 The Lake Restoration Handbook: A New Zealand Perspective synthesises contemporary issues related to lake restoration and rehabilitation, integrated with social science and cultural viewpoints, and complemented by authoritative topic-area summaries by renowned scientists and practitioners from across the globe. The book examines the progress of lake restoration and the new and emerging tools available to managers for predicting and effecting change. The book will be a valuable resource for natural and social scientists, policy writers, lake managers, and anyone interested in the health of lake ecosystems. 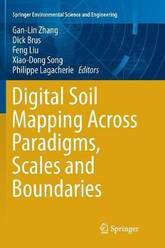 This book contains papers presented at the 6th Global Workshop on Digital Soil Mapping, held 11-14 November 2014 at the Institute of Soil Science, Chinese Academy of Sciences of Nanjing, China. Digital soil mapping is advancing on different fronts at different paces throughout the world. The researches and applications on DSM are moving from method development to realizations in different scales and regions, serving the generation of national and continental to global soil grids. Meanwhile, new ideas and insights on mapping complex soil-landscapes such as flat plains,anthropogenically altered agriculture and urban spaces are emerging, with the help of new paradigms and models.The goal of the sixth workshop was to review and discuss the state of the art in digital soil mapping, and to explore strategies for bridging research, production, and environmental applications. This book provides a very useful and comprehensive overview of the status of digital soil mapping, in which graduate students, scientists and specialists working within the field of geography can find the spatial prediction approaches and related theory. 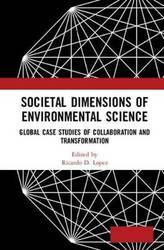 Societal Dimensions of Environmental Science: Global Case Studies of Collaboration and Transformation, brings together several key examples of the successes and the challenges that exist for environmental stakeholders trying to strike a balance between science and the societal implications of the issues involved. 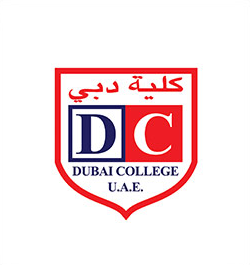 This book provides important methods and approaches necessary for informed decision making and a better understanding of the common threads of learning, collaboration, negotiation, and compromise. It also explains that concepts and skills needed to better understand how specific project goals can be best achieved in the rapidly changing field of environmental management, by providing practical situations and solutions, across a global landscape. 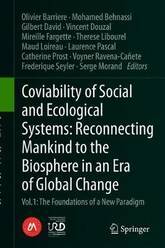 This book provides anyone who works in a community setting with the necessary tools and strategies for solving environmental problems and achieving the goals of an environmental project of any type and specifically addresses the topic of how to synthesize community engagement and the environmental science. 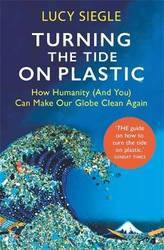 It describes current environmental issues and lessons learned of what works and what doesn't work in real situations, and why. 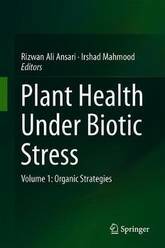 It also highlights key examples, which can be used by both management practitioners and research scientists in their specific circumstances. 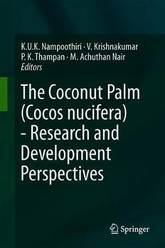 Showcasing a unique compilation of the diverse and specific examples from societies in Asia, Oceania, North America, and the Middle East, with an equally diverse array of authorship, this book serves all policy makers, scientists, organizers, and community members that desire to build better group dynamics for addressing environmental issues. 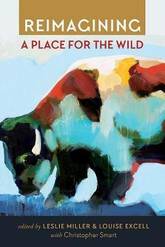 Reimagining a Place for the Wild contains a diverse collection of personal stories that describe encounters with the remaining wild creatures of the American West and critical essays that reveal wildlife's essential place in western landscapes. Gleaned from historians, journalists, biologists, ranchers, artists, philosophers, teachers, and conservationists, these narratives expose the complex challenges faced by wild animals and those devoted to understanding them. Whether discussing keystone species like grizzly bears and gray wolves or microfauna swimming the thermal depths of geysers, these accounts reflect the authors' expertise as well as their wonder and respect for wild nature. The writers do more than inform our sensibilities; their narratives examine both humanity's conduct and its capacity for empathy toward other life. A selection of photos and paintings punctuates the volume. This collection sprang from the Reimagine Western Landscapes Symposium held at the University of Utah's Taft-Nicholson Environmental Humanities Education Center in Centennial Valley, Montana. These testaments join a chorus of voices seeking improved relations with the western wild in the twenty-first century. In light of concerns about food and human health, fraying social ties, economic uncertainty, and rampant consumerism, some people are foregoing a hurried, distracted existence and embracing a mindful way of living. Intentional residential communities across the United States are seeking the freedom to craft their own societies and live out Mohandas K. Gandhi's vision of democracy based on the values of nonviolence, self-sufficiency, equality, and voluntary simplicity. Over the course of four years, A. Whitney Sanford visited ecovillages, cohousing communities, and Catholic worker houses and farms where individuals are striving to be the change they wish to see in the world. 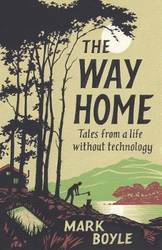 In this book, she reveals the solutions that these communities have devised for sustainable living while highlighting the specific choices and adaptations that they have made to accommodate local context and geography. She examines their methods of reviving and adapting traditional agrarian skills, testing alternate building materials for their homes, and developing local governments that balance group needs and individual autonomy. 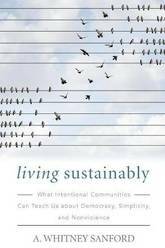 Living Sustainably is a teachable testament to the idea that new cultures based on justice and sustainability are attainable in many ways and in countless homes and communities. Sanford's engaging and insightful work demonstrates that citizens can make a conscious effort to subsist in a more balanced, harmonious world. Food - how it's grown, how it's shared - makes us who we are. 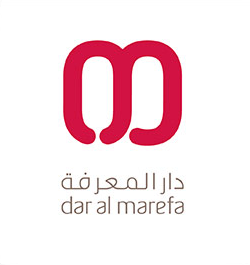 This issue traces the connections between farm and food, between humus and human. According to the first book of the Bible, tending the earth was humankind's first task: The Lord God planted a garden in Eden, in the east; and there he put the man whom he had formed (Gen. 2:8). The desire to get one's hands dirty raising one's own food, then, doesn't just come from modern romanticism, but is built into human nature. 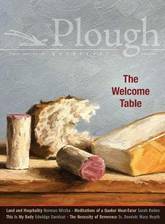 The title, The Welcome Table, comes from a spiritual first sung by enslaved African-Americans. The song refers to the Bible's closing scene, the wedding feast of the Lamb described in the Book of Revelation, to which every race, tribe, and tongue are invited - a divine pledge of a day of freedom and freely shared plenty, of earth renewed and humanity restored. 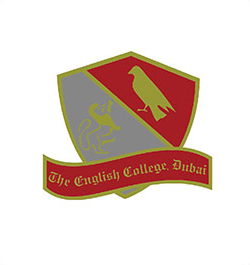 In the case of food, the symbol is the substance. Every meal, if shared generously and with radical hospitality, is already now a taste of the feast to come. Also in this issue: poetry by Luci Shaw; reviews of books by Julia Child, Robert Farrar Capon, Peter Mayle, Albert Woodfox, and Maria von Trapp; and art by Michael Naples, Sieger Koeder, Carl Juste, Andre Chung, Angel Bracho, Winslow Homer, Raymond Logan, Sybil Andrews, Cameron Davidson, and Jason Landsel. 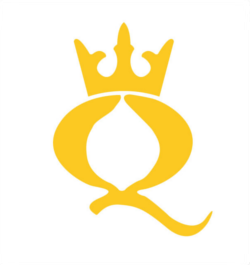 Plough Quarterly features stories, ideas, and culture for people eager to put their faith into action. Each issue brings you in-depth articles, interviews, poetry, book reviews, and art to help you put Jesus' message into practice and find common cause with others. 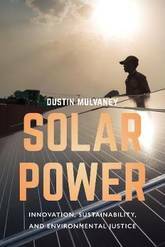 In this important new primer, Dustin Mulvaney makes a passionate case for the significance of solar power energy and offers a vision for a more sustainable and just solar industry for the future. The solar energy industry has grown immensely over the past several years and now provides up to a fifth of California's power. But despite its deservedly green reputation, solar development and deployment may have social and environmental consequences, from poor factory labor standards to landscape impacts on wildlife. Using a wide variety of case studies and examples that trace the life cycle of photovoltaics, Mulvaney expertly outlines the state of the solar industry, exploring the ongoing conflicts between ecological concerns and climate mitigation strategies, current trade disputes, and the fate of toxics in solar waste products. 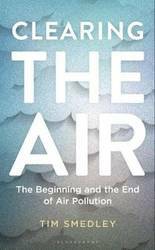 This exceptional overview will outline the industry's current challenges and possible futures for students in environmental studies, energy policy, environmental sociology, and other aligned fields. 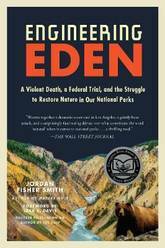 An intellectual history of America's water management philosophy Humans take more than their geological share of water, but they do not benefit from it equally. This imbalance has created an era of intense water scarcity that affects the security of individuals, states, and the global economy. For many, this brazen water grab and the social inequalities it produces reflect the lack of a coherent philosophy connecting people to the planet. Challenging this view, Jeremy Schmidt shows how water was made a resource that linked geology, politics, and culture to American institutions. Understanding the global spread and evolution of this philosophy is now key to addressing inequalities that exist on a geological scale. 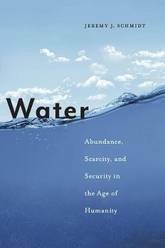 Water: Abundance, Scarcity, and Security in the Age of Humanity details the remarkable intellectual history of America's water management philosophy. It shows how this philosophy shaped early twentieth-century conservation in the United States, influenced American international development programs, and ultimately shaped programs of global governance that today connect water resources to the Earth system. 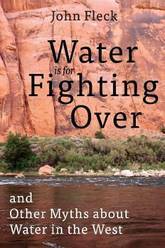 Schmidt demonstrates how the ways we think about water reflect specific public and societal values, and illuminates the process by which the American approach to water management came to dominate the global conversation about water. Debates over how human impacts on the planet are connected to a new geological epoch-the Anthropocene-tend to focus on either the social causes of environmental crises or scientific assessments of the Earth system. Schmidt shows how, when it comes to water, the two are one and the same. The very way we think about managing water resources validates putting ever more water to use for some human purposes at the expense of others. ________ THE OFFICAL COMPANION TO THE GROUNDBREAKING NEW NETFLIX DOCUMENTARY SERIES `The future of all life on this earth depends on our willingness to take action now' - David Attenborough ________ With a foreword by Sir David Attenborough, breathtakingly beautiful still photography, specially commissioned maps and graphics, and compelling text expanding on the remarkable TV stories and giving the reader a depth of information that is impossible on screen, this companion to the groundbreaking NETFLIX series presents a whole new view of the place we call home. Featuring some of the world's rarest creatures and previously unseen parts of the Earth-from deep oceans to remote forests to ice caps-Our Planet takes nature-lovers deep into the science of our natural world. Revealing the most amazing sights on Earth in unprecedented ways, alongside stories of the ways humans are affecting the world's ecosystems-from the wildebeest migrations in Africa to the penguin colonies of Antarctica-this book captures in one concise narrative a fundamental message: What we do in the next twenty years will determine the future of not just the natural world but humanity itself. If we don't act now to protect and preserve our planet, the beauty we're lucky enough to witness on these pages will have disappeared . . .